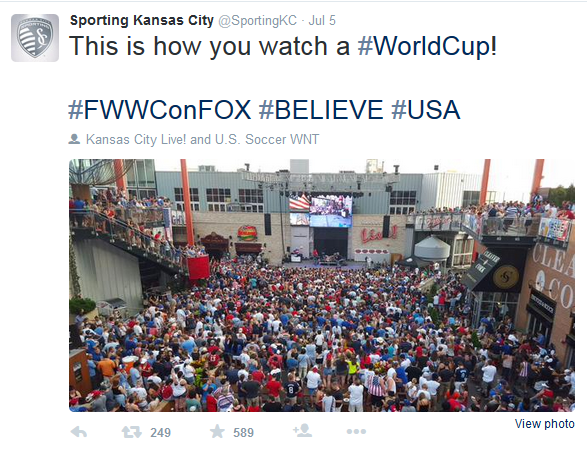 The United States faced Japan in the Women’s World Cup Final on Sunday, and the KC Live! 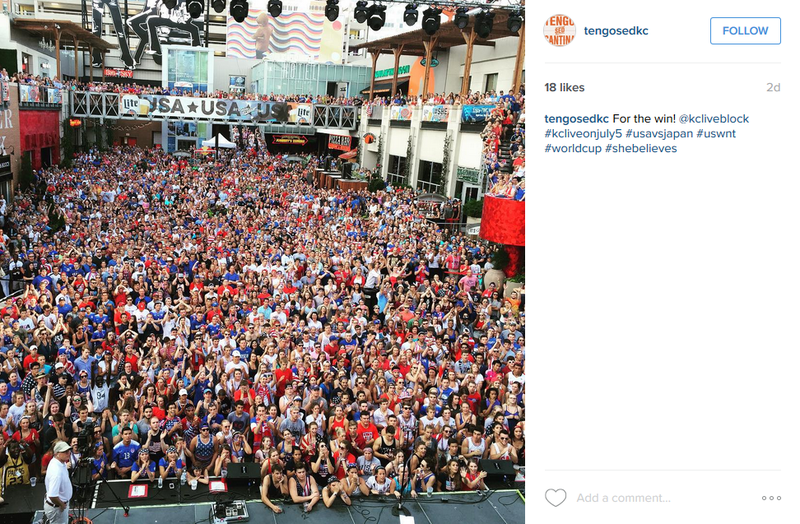 Block was full of American spirit. 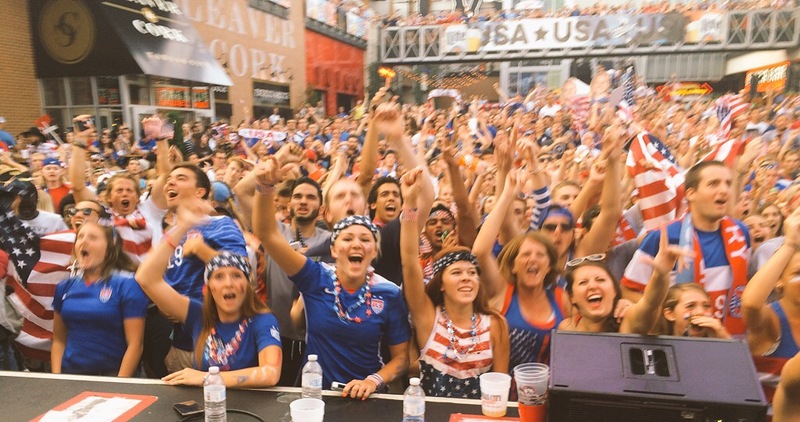 Fans had lots of reasons to celebrate, especially after the U.S. scored four goals in the first 15 minutes! 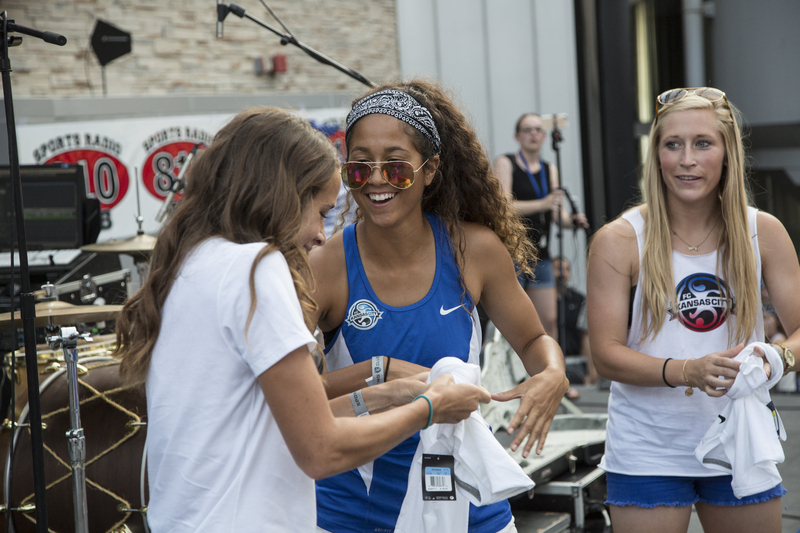 Pregame festivities included a dance contest and giveaways from FC Kansas City’s KC Crew. Nate Bukaty from Sports Radio 810 got the crowd pumped up by leading “USA” and “I Believe That We Will Win” chants from the stage. After the win, confetti was launched and DJ Lazer kept the festivities going by playing songs like “All I Do Is Win” and “Turn Down for What”. 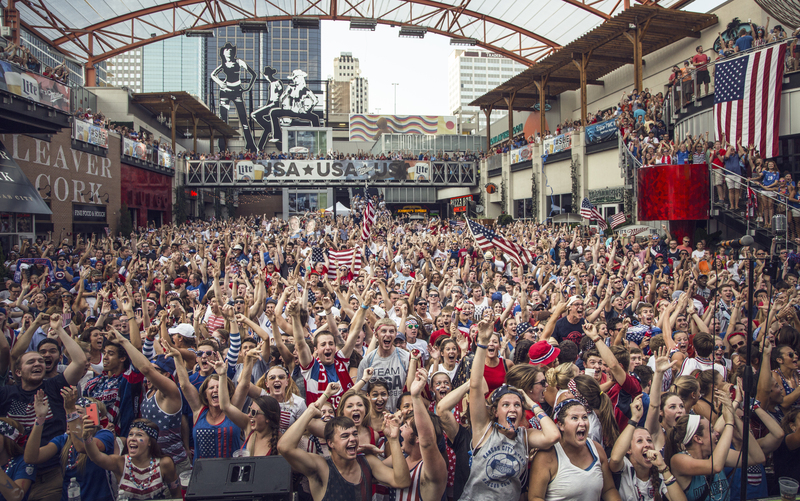 We think it’s safe to say Kansas City proved it’s still the Soccer Capital of America. 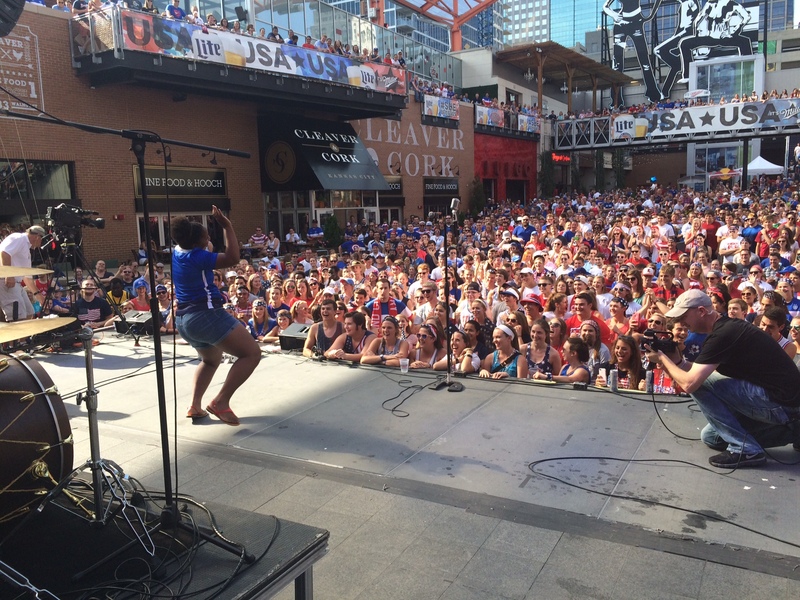 A big shout out to our partners, Sporting Kansas City, FC Kansas City, Win for KC and 810 Sports Radio for helping bring the watch party to life.